At the beginning of the second century, the Roman empire stretched as far east as present day Iraq and as far south as the fringes of the Sahara. But the least-coveted posting in the empire must have been the fortified checkpoint that marked the furthest extent of Roman civilisation. A place of harsh climates, hard labour and local insurrection. A logistical and administrative quagmire in which every receipt had to be issued in quadruplicate. 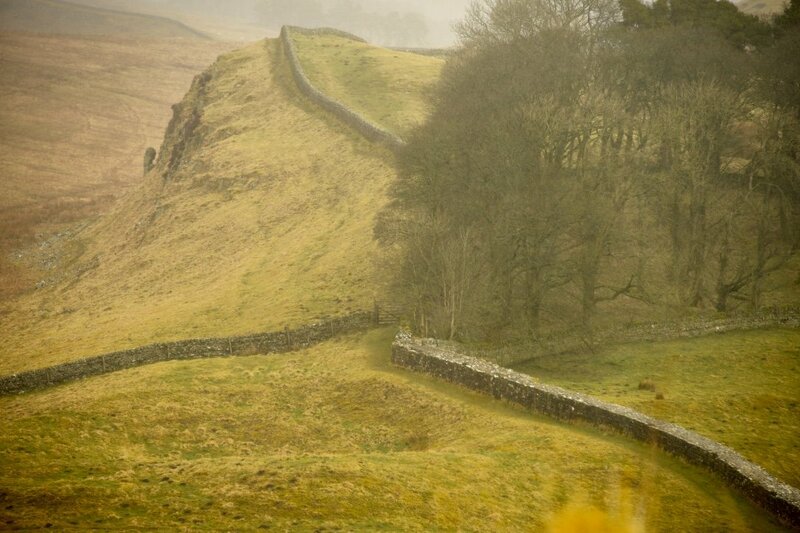 Welcome to Hadrian’s Wall. The Roman poet Florus wrote of the emperor Hadrian: ‘I would not wish to be Caesar, to walk in Britain’; which for the shivering cohorts stationed here was probably something of an understatement. For despite the astonishing scale of the project, the 73 mile wall is ultimately an admission of defeat. Rather than attempt to pacify the far north of Britain, Hadrian opted to consolidate what he already possessed, throttling the island at its narrowest point with a stone garrotte stretching from Solway Firth to the mouth of the Tyne. Now designated as a UNESCO World Heritage Site, a monument this vast makes it hard for the first-time visitor to know where to begin. The fort at Housesteads, just north of Hexham, makes a good starting place however; as it stands approximately half-way along the course of the wall and is the best-preserved of the 22 fortresses that lined the frontier. It’s also remarkable for the light it sheds on the development of York, 90 miles to the south. To the German-speaking Tungarian cohort who trekked from northern Belgium to garrison the site, Houseteads (or Vercovicium as they would have known it) would have looked very much like York, built into the side of a hill. Roman fortresses conformed to the same template throughout the empire; rectangular in shape with rounded corners like playing cards. 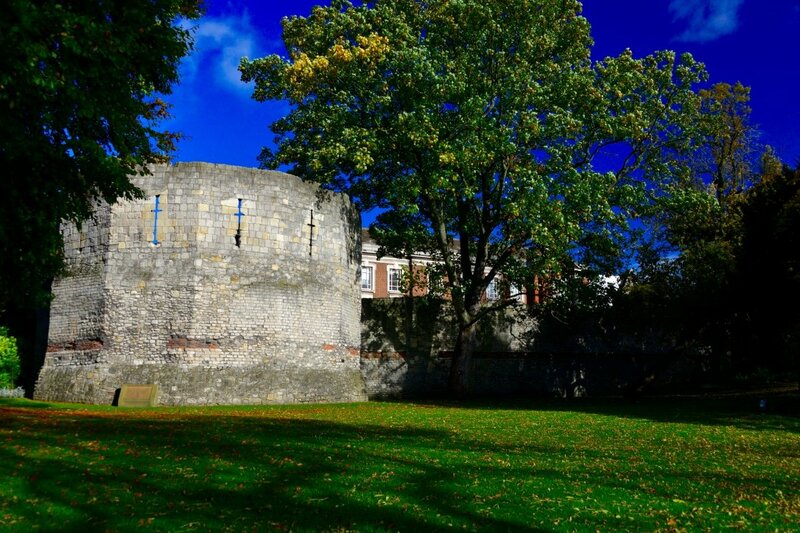 One of these corner-curves famously survives in York as the structure known as the Multangular Tower. The tower in the Museum Gardens is one of the most spectacular Roman structures in Britain, yet also one the most mysterious, as it has proved impossible for archeologists to be sure precisely when it was built. But Housesteads gives us a clue. York, or Eboracum, existed as a simple wooden stockade some fifty years before Hadrian ordered the construction of his iconic wall. But we know that the emperor passed through here on his tour of inspection in AD 122. So it seems reasonable to guess that the sudden need to shore up the defences against the northern tribes caused York to be re-fortified in stone. 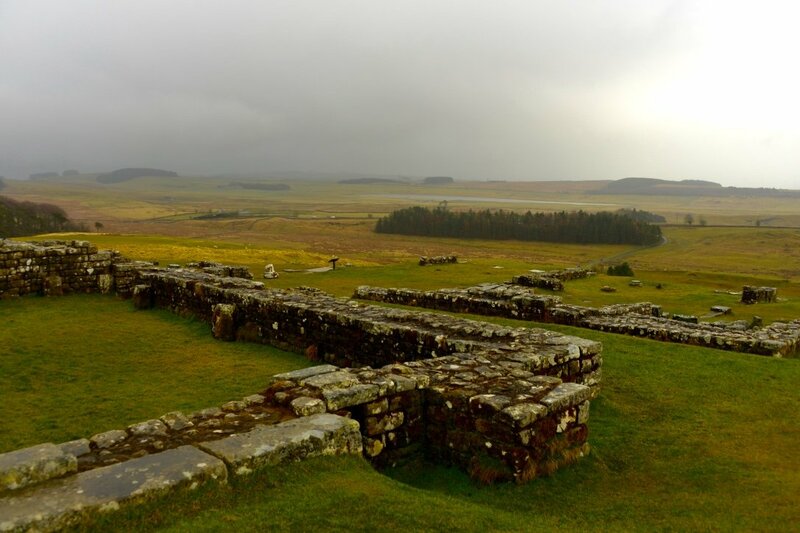 Covering some 2.2 hectares of rugged Northumberland countryside, Housesteads provides a fascinating ground-plan of the Roman structures that lie under present-day York. Clearly visible at the centre of the fortresses’ grid-iron layout are the foundations of the principia, or headquarters building. In York the Minster now stands on the equivalent spot (and indeed required urgent underpinning in the early 1970s when it was discovered that the entire weight of the central tower was resting on Roman foundations). 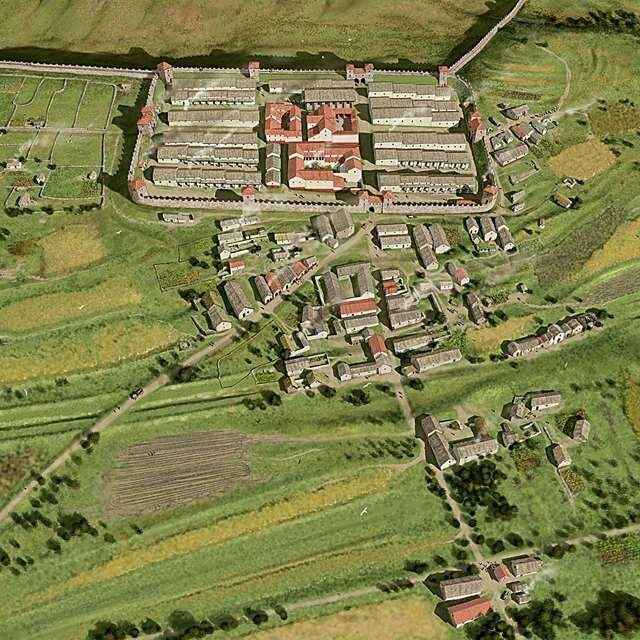 Despite its size, Housesteads was unusual among Roman settlements in that it had no running water - clearly the garrison could depend on the fact that it rained a lot. It’s no surprise therefore to find that latrine block was carefully positioned down-wind at the bottom of the slope, in the south west corner. You can still see the channels used for flushing out the lavatories and the stone trough in which the Romans rinsed their sponges. Intriguingly, this sophisticated communal loo stands in the equivalent location to the Multangular Tower in York. Could it be that York’s most iconic and enigmatic Roman structure was essentially the place where the legions went to relieve themselves? There had to be some compensations for being stuck out this far on a limb, under ever-present danger of guerrilla attacks by Caledonian tribes. 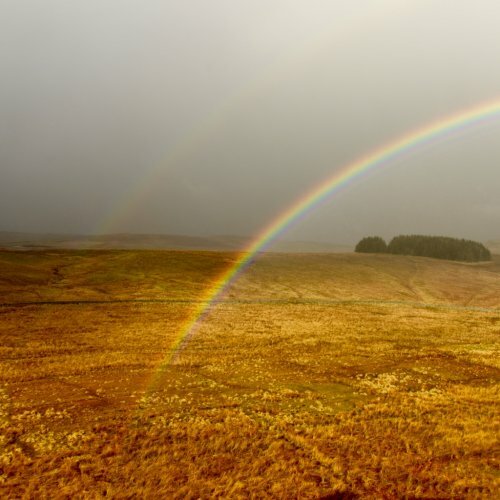 On the day we visited, horizontal sleet was suddenly illuminated by a perfect rainbow straddling the border. It may be a very long way from Rome, but the evidence suggests that the pot of gold lies tantalisingly on the barbarian side. 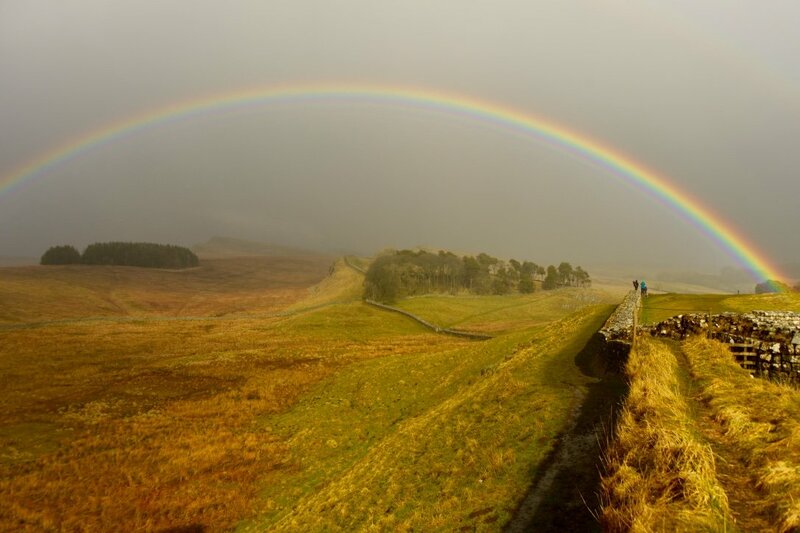 Hadrian's rainbow. Pot of gold not pictured.